Styling home interiors the way we like gives a lot of happiness, satisfaction and a perfect feel of complete comfort. It’s no surprise to decorate indoors like a jungle if you really love to do. 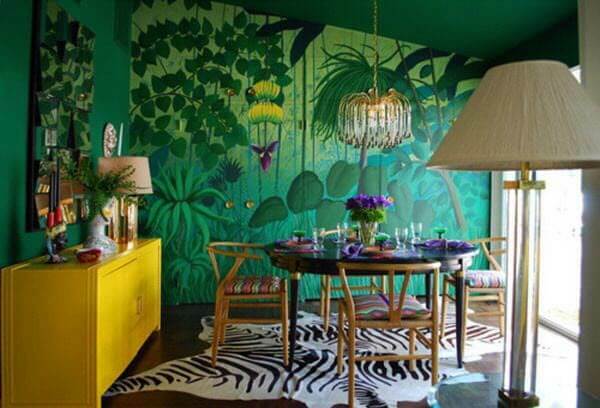 Jungle love can be showcased in creative ways with these unique listed decors down. 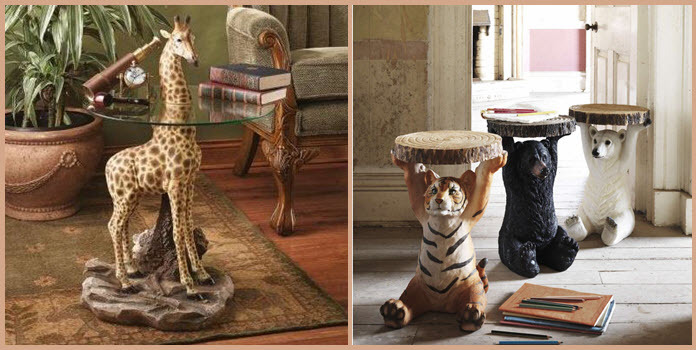 Safari themed decors for modern Tarzans are ready to turn up the heat indoors. Plan well to create your personal jungle at home. Make it simple and look spacious like the zebra living room. Never try more patterns which would make the room look cluttered. Try to liven up your living rooms with the jungle style that is beyond imagination. More natural vibe to the dining area can be achieved even with simple wallpapers. The African rain forest wall paper, the wild foot rug is sure to tone up the looks of the room. Add some real greens to create the delightful illusion of dinning in jungle. 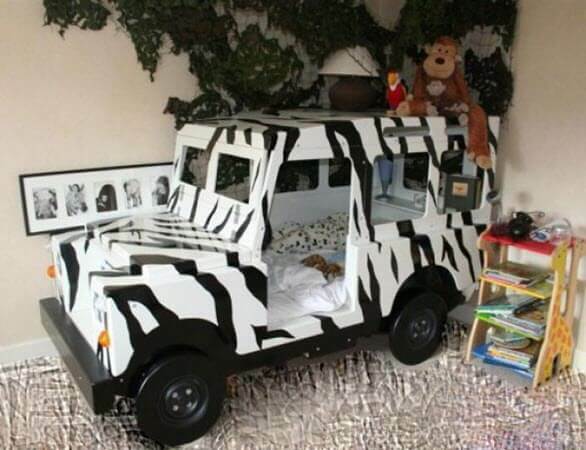 A special safari experience for your little love every day at home is possible with the zebra jeep bed. Match up with the giraffe side table that could hold your champs stuff. So get ready to enter the animal kingdom and enjoy the pure thrill. Get help from the wild animals to hold your stuff organized just above their heads. Unique and wild in its looks can be utilized as writing table by kids. Never miss to take home at least one wild friend to create that thrilling effect. Try to get very close to nature when you plan to decorate plain walls for a jungle theme. 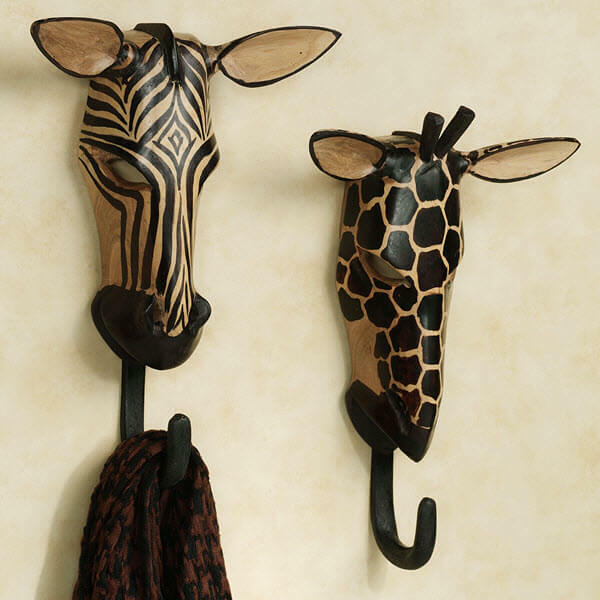 Hanging the animal sculpture is the best way to enhance the beauty of safari themed rooms. These animal masks will add an exotic flair to any space at home. Apart from trees, wild animals the jungle effect can also be combined with modern living. The modern bathroom with minimalistic animal magnetism will mix a bit of wild side to your stylish home décor. Choose majestic zebra bathroom mirror to add exotic stripes to the décor. Bring in a wild touch to the interiors with unique jungle lamps. 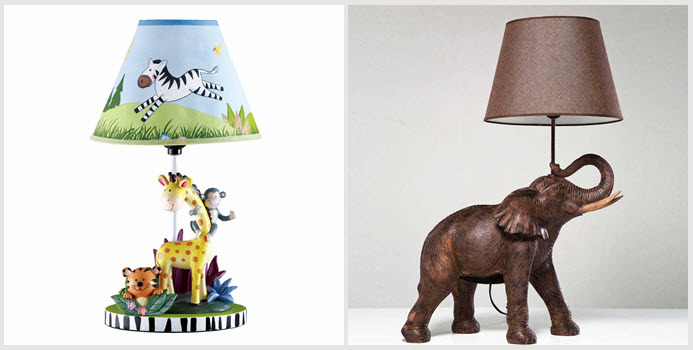 The elephant safari table lamp, sunny safari lamp the flattering additions to master bedroom and kids room. The rustic look of the elephant, the colorful animal is sure to attract attention taking the décor to new heights. Jungle safari theme is the best choice of nature and adventure lovers. A dream come true for people who goes crazy for Tarzan. Add a deep jungly love at your favorite place to enjoy and relax around in a wild style. If you come across any unique decors related to the topic do send a click to us so we can add to our list.